إن فندق Mango Tree Motel بموقعه الممتاز في هذه المنطقة السياحية هو نقطة انطلاق جيدة لنزهاتك في هذه المدينة المذهلة. يمكن من هنا للضيوف الاستمتاع بسهولة الوصول إلى كل ما تقدمه هذه المدينة النابضة بالحياة. سوف يعشق النزلاء موقع هذا الفندق، فهو قريب من أهم المعالم السياحية في المدينة . إن Mango Tree Motel حريص على توفير الراحة للنزلاء، فلا يوفر الموظفون جهداً في تقديم أفضل الخدمات وضمان حسن الاستقبال. هذه بعض الخدمات الموجودة في هذا الفندق: واي فاي مجاني في جميع الغرف, خدمة التنظيف يوميًا, واي فاي في المناطق العامة, صف السيارات, غرفة عائلية. بالإضافة لهذا، تتضمن كل غرف الضيوف مجموعة واسعة من وسائل الراحة . بعض الغرف توفر حتى تلفزيون بشاشة مسطحة, اتصال لاسلكي بشبكة الإنترنت (مجاني), غرف لغير المدخنين, مكيف هواء, تدفئة لإرضاء أكثر الضيوف تطلبًا. يقدم الفندق مجموعة واسعة من وسائل الراحة المتنوعة، كمثل: مسار جولف - ضمن 3 كم, حديقة. يحظى فندق Mango Tree Motel بموقع ممتاز وخدمات يصعب منافستها. Near the beach. Helpful, friendly staff. Clean and modern rooms. Plenty of parking. Quiet. Inexpensive. 100 metres from the beach, walking distance to cafe's, restaurants, shops/gift wares. Clean and spacious motel, free parking right in front of units. Beautiful town to visit, highly recommend. Thank You for the great review, we appreciate your recommendations for other travellers. 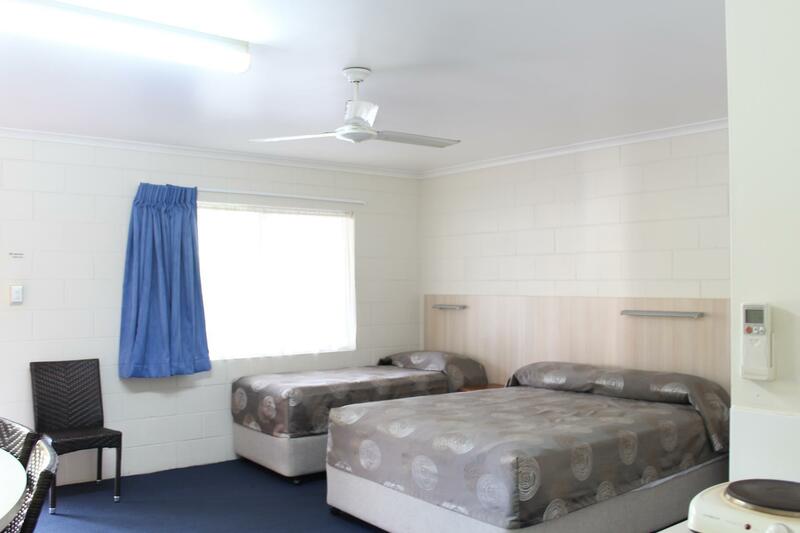 We enjoyed a comfortable bed and pleasant clean, tidy and well maintained surroundings. We arrived around 7.00pm and left around 9.00am the following morning as we were in transit but we would definitely return as the position is wonderful and Agnes Waters is such a delightful place. It has come a long way since the bumpy dirt road I travelled on the last time I visited back in the 1990s. We stayed at the Mango Tree Motel then too and had a positive experience. Thank You for your delightful review. We appreciate you taking the time to place the review and hope to see you again, maybe not so long between visits next time. Exactly as described. Staff more than helpfull. Right next to beach and shops. Room was very large and clean. Could not fault mango tree. We would highly recommend. Hi Jo, Thank you, we appreciate you taking the time to place the great review. Glad you enjoyed your stay and hope you can join us again sometime. Regards, Louise. Great service and location. Close to everything and within walking distance. So close to beach and the room was great. Nice quite spot to. Loved it. Perfect for a week-end get away. We only stayed one night at the Mango Tree but wished we could have stayed longer. The location is ideal and the staff were friendly and accommodating. Our room was exactly as listed and provided everything we needed. All facilities we needed were there. But bed was somewhat uncomfortable. Dripping tap in the shower ALL night - this is despite the motelier allegedly changing the washers just at our check-in time. TURNED OFF THE SHOWER'S TAPS AS BEST AS POSSIBLE, BUT NEEDED the air con running through the night ( to cover up the water torture noise) so as to be able to sleep. A dripping tap is a source of great annoyance. Very clean motel, and office person was very nice once we could raise him upon our arrival.. Very good. Can recommend it! We enjoyed our stay. Great location and close to beach. Nice comfortable room with everything needed for cooking also. Unfortunately the good things about the place were undermined by a ton of bugs hiding in my room. I killed a fair few before sleep but still woke up to many many insect bites. That said, staff were super friendly with my late check-in being no problem at all. Really close to the shops and restaurants, so close to the beach! We spent two nights there and could have stayed longer, but needed to head north. Great location close to everything with a parking spot. Room clean and comfortable with everything you need. We would stay here again. For convenience it was perfect. Cost for family of five for short stay was brilliant and affordable. It was a stones throw to beach and to centre of town. Lovely, helpful staff.